This strain originating from Chitwan, Nepal also has unique characteristics setting it aside from the classic cubensis. Also a quick colonizer of both substrate and casing, it produces medium size fruits sometimes displaying an attached partial veil. Fruits well on cased grain, BRF, and pasteurised or sterilized compost. Dense (solid) stems and flesh on BRF. When fresh fruits naturally dry they retain much of their original size and shape appearing as if they were preserved in a commercial freeze dryer. 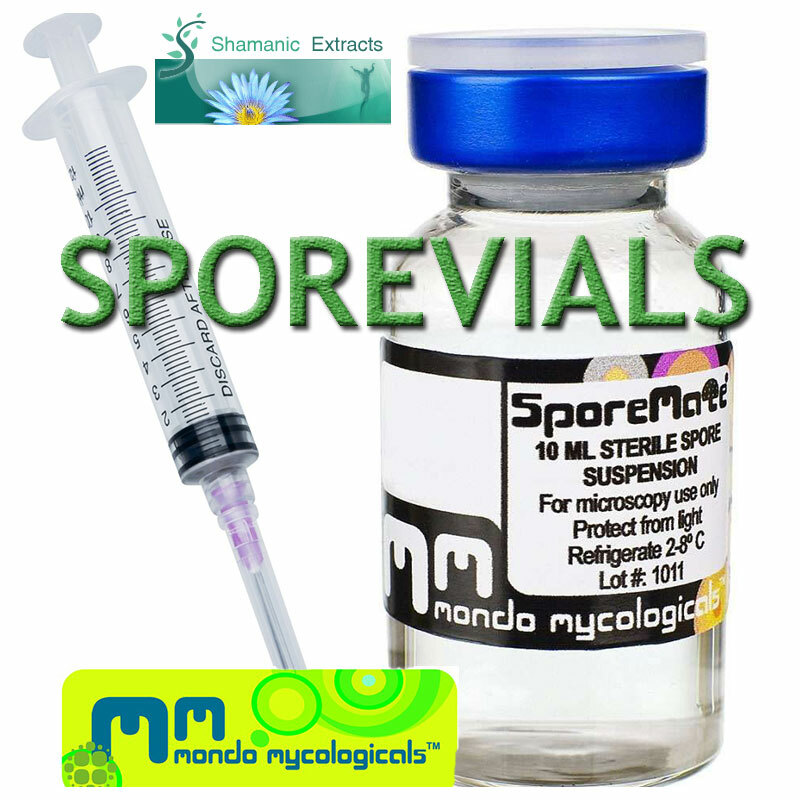 Share your experience about Nepal Chitwan Spore Vial with other customers. Submit your tips or thought on this product, be detailed and specific.